In mama's words: "Little Evelyn Lucy surprised us at the end of labor. She decided during pushing to flip footling breech. And although her homebirth ended in a cesarean, I had the most amazing and intense birthing experience. I had my incredible husband around, two skilled and supportive midwives, and one of my best friends as my doula. I loved our birth and love our littlest lady even more." Welcome to the world, Evelyn! We're so glad you're here! A HANDFUL OF SNEAK PEEK IMAGES LIKE THESE ARE DELIVERED WITHIN 24 HOURS OF BABY'S BIRTH. 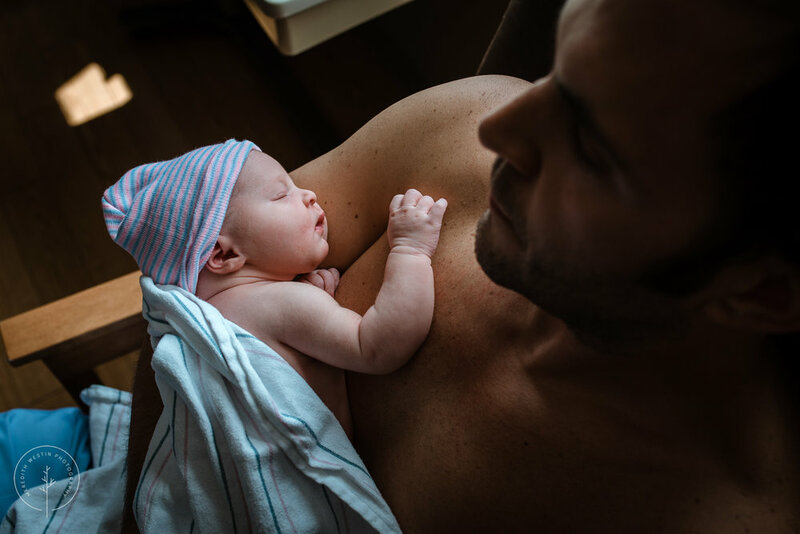 YOUR Package also includes COMPLIMENTARY PRENATAL AND POSTPARTUM DOCUMENTARY MINI-SESSIONS AND A FULL GALLERY OF IMAGES FROM YOUR BIRTH WITH A FULL PRINT RELEASE.